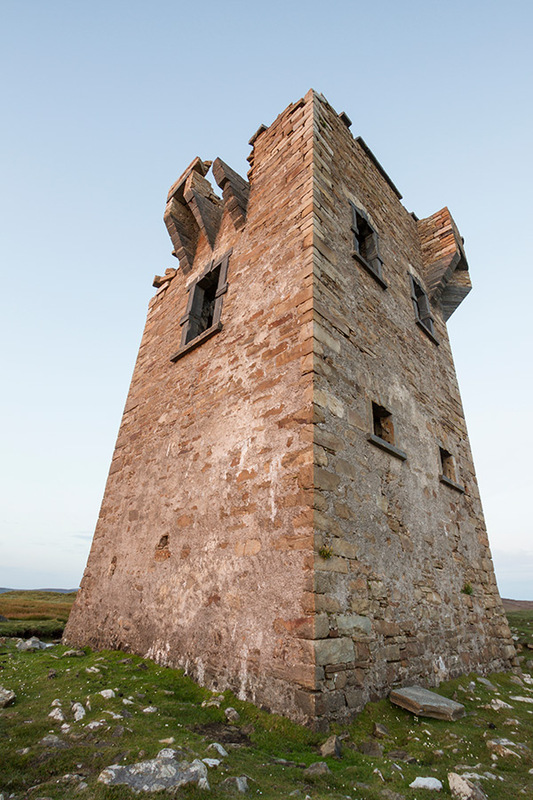 Glen Head tower in Glencolmcille is just one of 81 Martello Towers dotted around Ireland. 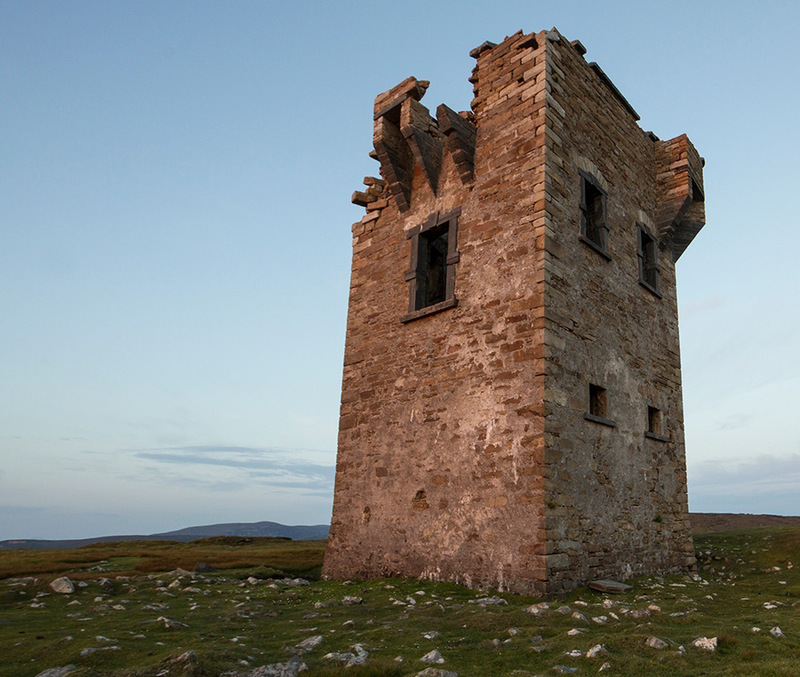 Built by the English around 1805, it was used as a signal and watch tower during the Napoleonic Wars. Strategically placed, the martello tower stands out on Glen Head and is visible on either side by its nearest signal tower, Malinbeg to the south and Dawross Head tower to the northeast. 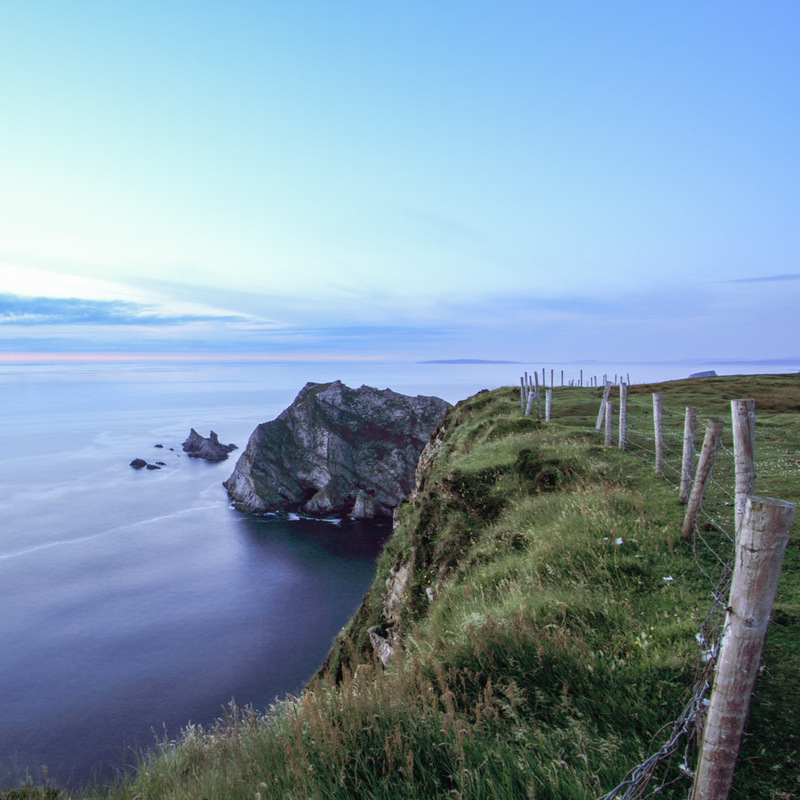 The edge of Western Europe, next stop America. 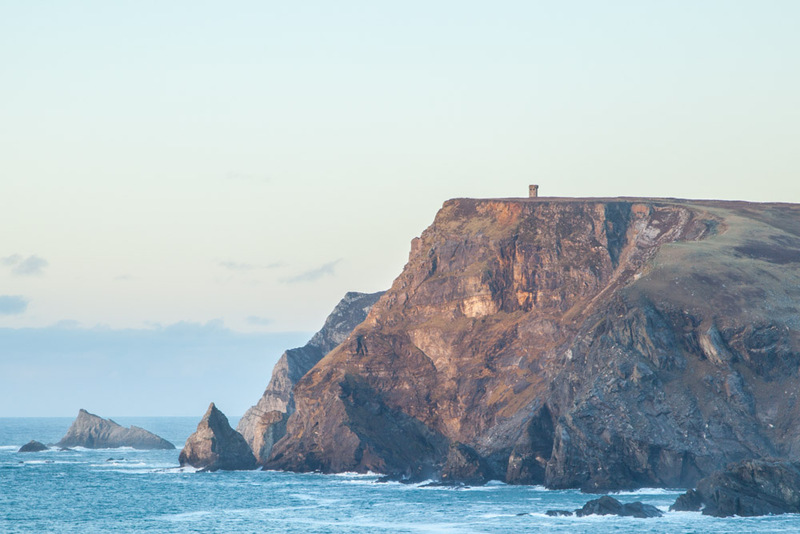 The area has some impressive views of the coastline and the Atlantic and is well worth the trek up the steep rocky road to the tower. The road seems to trail off about half way though and I found myself cutting across the hill to get to the tower. A close up view of the tower showing the defensive high windows and the Machicolation balconies with gaps for throwing stones and hot liquids at attackers. The tower overlooks the village of Glencolmcille and sits on the townland of Sliabh Bhíofáin agus Gharbhrois and is a highlight of the Tower/Glen Loop walk, see Map.